Cash for Caulkers on the Table? The NY Times had an article a couple of days ago about a now job creating measure that is receiving some attention from the Obama Administration. It’s called “Cash for Caulkers” which is fancy for home weatherization. Let’s hope it ends up as a policy. Could be the next stimulus. So White House officials are looking at creating a new version of cash for clunkers— this time for home weatherization. Back when the bailout was passed, attached to it was extensions of tax credits for wind and solar companies. The credits create a much greater incentive for the production of renewable energy. The problem through is that in this tough economic period, most companies are not making money. In their current state, the tax credits only get refunded to the companies if they are turning a profit. Therefore, since many are currently not they are not seeing the benefit of the tax credit. This is hurting their bottom line and undercutting demand for alternative energy projects. Congress should make the tax credits refundable in the stimulus package so that they work the way they were intended to. Washington, D.C. – The American Wind Energy Association (AWEA) and the Solar Energy Industries Association (SEIA) today reported that both wind and solar energy enjoyed record-breaking years in 2008, but face a dramatic reduction in 2009 if Congress and the incoming Administration do not take swift action to help make renewable tax incentives work in today’s difficult economy. AWEA CEO Denise Bode and SEIA President and CEO Rhone Resch both cited the need to make the ITC and PTC refundable to preserve their effectiveness in the current economic climate and maintain the very strong growth of both industries. “Congress must use the stimulus bill to move us away from our backwards-looking, recession-burdened economy and toward a new-era of recovery and prosperity with solar and wind leading the way. Our industries have become powerful economic engines in the U.S., each year creating tens of thousands of new jobs and billions of dollars in economic investment. And we have the potential to put millions more Americans back to work. But due to the recession, projects are now being put on hold, factories are closing and workers face potential layoffs unless Congress refines the tax credits now so they work as originally intended,” said Resch. AWEA estimates that last year the wind industry installed a record 7,500 megawatts of capacity in the U.S., bringing total wind capacity in the U.S. to about 24,000 MW. The solar industry is estimated to have nearly doubled growth of solar PV installations in 2008. 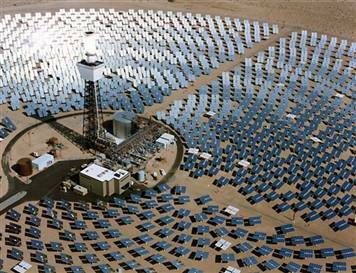 The California Solar Initiative reported the growth of photovoltaic installations doubled in 2008 over 2007. On October 3, Congress passed an extension of the ITC and PTC tax credits. Bode and Resch noted that current economic conditions substantially reduce the effectiveness of the tax credits since most companies and individual tax filers expect lower tax liabilities. Making the tax credit refundable restores the incentives’ value. Making renewable tax credits refundable, like those for biodiesel and other alternative transportation fuels, is essential to ensuring continued wind and solar industry growth in 2009 and 2010. In 2007 and 2008, more than 50 wind energy manufacturing facilities were opened, expanded or announced in the U.S., adding 14,000 employees. More than half of those jobs were added in 2008, even as the overall U.S. economy was faltering. The solar energy industry employs more than 80,000 people in the U.S. and created more than 15,000 jobs in the last two years. According to Navigant Consulting, the solar energy sector alone will create 440,000 permanent jobs and spur 325 billion in private investment by 2016 with the ITC in place. “By working together to repair this critical policy, we can put Americans back to work, help achieve national energy security and start down a path that will make America a leader in renewable energy manufacturing and development,” added Bode. “The American public overwhelmingly supports renewable energy and these policies. Our elected leaders have an opportunity to support renewable energy in the stimulus bill that will keep these vitally important industries growing in the U.S.,” said Resch.